We are the leading manufacturer of Pipe Unions, Reducing Unions and Bulk Head Unions . Class 150, 300, 600, 900, 1500, 2000, 3000, 6000. 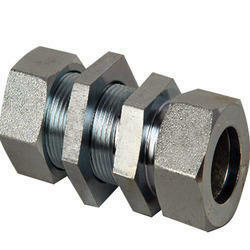 We offer different types of Pipe Unions, which are extensively used for joining tubes/pipes in industrial applications. These unions are used to connect pipes or tubes of different dimensions. Our unions are available in standard specifications widely demanded across industries. Our range finds application in chemicals industries, fats & fertilizers industries and ship building. Dimensional accuracy, Long service life, Corrosion resistance and High strength. This Reducing Union is known for it dimensional accuracy and precise engineering. Available as per the specific requirement of our clients, we ensure that these are custom made. These reducing unions ensure complete tensile strength, and are offered at competitive rates. 1/8" od × 1/4" od. 1/4" od × 3/8" od. 3/8" od × 1/2" od. 1/2" od × 3/4" od. 3/4" od × 1" od. 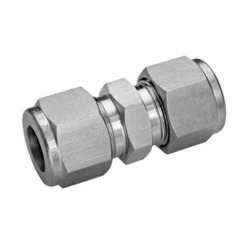 Bulkhead unions are a kind of union used in tube fittings for connecting a tube to tube fitting. These are available in numerous sizes and dimensional attributes. 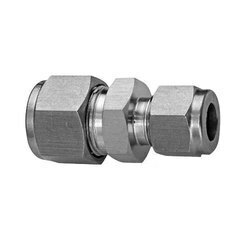 The fittings are carefully designed and manufactured to very stringent tolerances in order to provide a zero leak, the torque-free seal at all tubing connections. We offer superior quality pipe unions which are also the most common element in construction and machine design. These pipe unions are designed to overcome the forces acting on the joints. These pipe unions can be customized as per the requirement of our clients.